Back to sketching in a busy street today and it felt good. Luckily the rain held off for the 15 minutes I had to sketch this view. 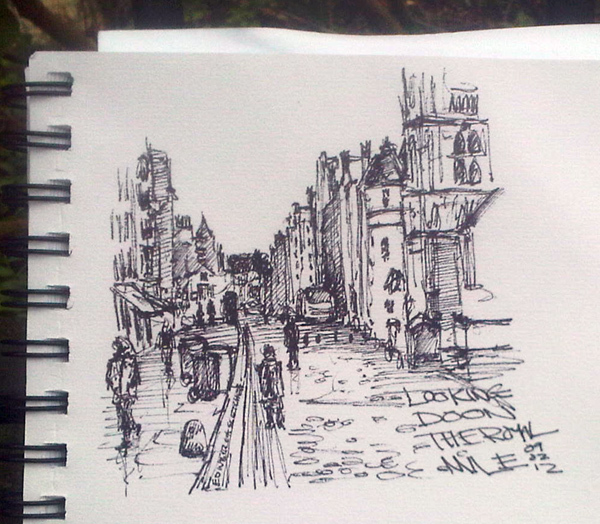 Looking down the Royal Mile from near St Giles Cathedral. Thankfully the rain held off while I scribbled away. Unfortunately though another pen seems to be drying up. I think I need to find a pen sponser! Mr, or Mrs Staedtler are you reading? !